The basic gun powder firearm is very common and popular with the ordinary people. Shells have only been around since the Prussian-Antifordian war. After the Antifordian Revolution, they became avaiblable on common guns. Firearms that use steam power are far more damaging weapons but require a lot more maintenance to operate. Often, many guns on a ship will connect to a central steam-system. 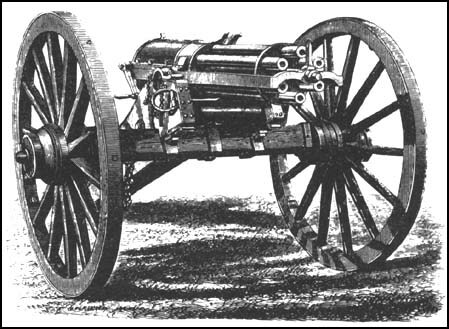 Portable steam-guns are also used, and are popular among the rich as a symbol of wealth and hunting for sport. These guns are far rarer, and the militaries haven't typically been interested in these weapons, as they are middle-of-the-road in terms of damage to complexity. These are rather new and extremely rare. They were deemed unstable by the Technocrats after years of research.